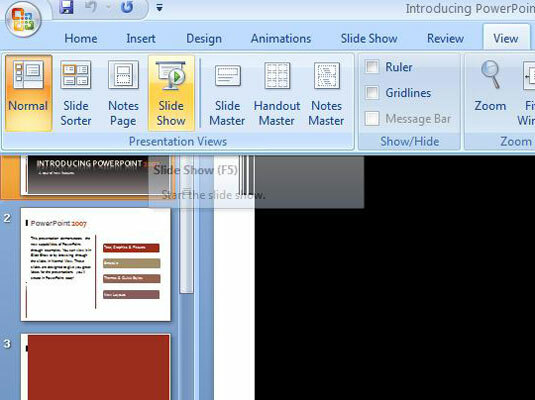 You’ve put hours into creating a great PowerPoint presentation. 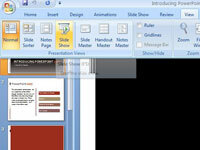 PowerPoint is designed to display slides present on a screen. PowerPoint can show your presentation on your computer’s own monitor, a projector, or an external monitor such as a giant-screen Plasma or LCD display. When you want to do a slide show in a one-on-one or small group setting without a projector, beginning the show is just a click away. 1Click the Slide Show button located (along with the other View buttons) in the lower-right corner of the screen. 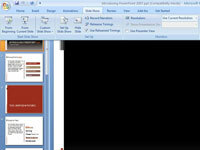 If you have set up a full-screen slide show, PowerPoint fills the entire screen with the first slide of the slide show. 2Click the mouse, or press Enter, the down arrow, Page Down, or the spacebar. PowerPoint advances to the next slide. 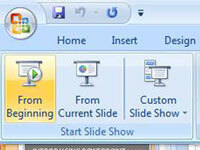 3Alternatively, open the Slide Show tab on the Ribbon. 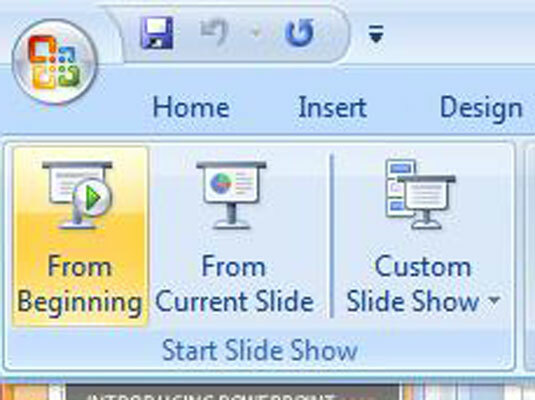 The Ribbon works just as easily as the Slide Show button. 4Click From Beginning or From Current Slide. This lets you choose where to begin the slide show.